In February 1939 the New Zealand government announced that the new radio station in Auckland would be known as the Musick Memorial Station. An outline of the proposals agreed to by the Government for the establishment of adequate radio and meteorological aids as part of the trans-Tasman air service was given today by the Postmaster-General (the Hon. F. Jones). The proposals arose out of a conference held in Melbourne at the end of last year, and they provide for aircraft radio communication facilities at Sydney, Lord Howe Island, and Auckland, and radio navigation facilities at Sydney, Lord Howe Island, Auckland and Awarua. Wellington will broadcast synoptic weather reports. The Minister said that the recommendations of the conference related to — (a) The meteorological arrangements; (b) The radio communication and navigational services; (c) The operational procedure to be adopted. With reference to the meteorological organisation, Mr. Jones stated that the proposals and procedure followed closely the meteorological organisation evolved between British, Canadian, and United States Governments in connection with the trans-Atlantic flights of Imperial and Pan-American Airways, certain necessary adaptations having been made to meet local conditions. This organisation proved satisfactory under the difficult conditions encountered in the North Atlantic and in the view of the conference should form an eminently suitable basis on which the trans-Tasman meteorological service should be formed. The Minister commented that close contact now existed between the meteorological services on both sides of the Tasman, and he was assured that everything was in readiness for them to undertake the extended service necessary well in advance of the actual commencement of the flying service, so as to assure satisfactory meteorological information and forecasts being forthcoming from an experienced staff when the service commenced. (a) That the major 6-hourly synoptic Australian weather reports from the Commonwealth Meteorological Branch be broadcast through the Royal Australian Navy Station, Canberra, when ready for operation. In the meantime, the Royal Australian Air Force Station, Point Cook, to be used for the purpose. (b) That the New Zealand synoptic reports be broadcast through the Post and Telegraph Radio Station at Wellington, New Zealand. (c) That synoptic reports, forecasts, and advices applying particularly to the Tasman Service be exchanged by the point to point terminal radio stations to be established at Sydney and Auckland. (d) That point to point radio facilities be provided between Sydney and Auckland; Sydney and Lord Howe Island; and Auckland and Awarua. 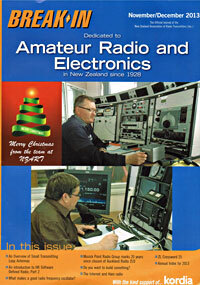 (e) That aircraft radio communication facilities be provided at Sydney, Lord Howe Island, and Auckland. (f) That radio navigation facilities be provided at Sydney, Lord Howe Island, Auckland, and Awarua. In this connection he had already approved of the installation of a special transmitter at Wellington for the broadcasting of synoptic weather reports, and he was assured that the equipment had already been received for this purpose and the station would be in operation early in March. As regards arrangements for radio facilities at the Auckland terminal, the Government had been faced with a major programme in this connection and an up-to-date radio centre was being established at East Tamaki on the shores of the Hauraki Gulf to provide the necessary terminal services, including point-to-point communication with Sydney, communication with aircraft on several wave-lengths, and direction-finding services to assist navigation of the flying-boats. “It has, for some time, been the Government’s intention to take the first opportunity of erecting a memorial to the late Captain Musick and his crew, who lost their lives in pioneering the trans-Pacific flying service,” continued’ the Minister, “and it will be remembered that the Prime Minister stated some months ago that the first opportunity will be taken to erect a radio beacon or other appropriate aid to aerial navigation as a Musick memorial. “It has now been decided that the Auckland station would be known as the Musick Memorial Station, and it was proposed to house the receiving section of the station in a suitably designed building on East Tamaki Head which would, in future, be known as Musick Point, to constitute the main feature of the Musick Memorial radio centre. Mr. Jones said that most of the equipment necessary was now in the country or expected to arrive shortly. The Public Works Department were undertaking the engineering work involved in the erection programme, and the Post and Telegraph Department would install and operate the radio equipment. The work of installation would be prosecuted with a minimum of delay so as to ensure that all facilities would be available by June next. This would mean the use of certain temporary buildings in Auckland, but it was the Government’s wish that there should be a minimum of delay in providing the radio services without which the Government could not agree to the trans-Tasman service commencing. The public would realise the importance placed on the early commencement of the service as a means to completing the Imperial air communication and providing for the transport of mails, by air over the whole distance between England and New Zealand. As regards the Australian arrangements, the Minister was assured that arrangements were being made with a minimum of delay for the provision of radio facilities at Sydney, and that already the survey had been made of Lord Howe Island so as to assure that a radio station would be available on the island for assistance of aircraft before the commencement of the service. Arrangements were also being made for the use of trans-Tasman shipping to facilitate provision of certain information and to generally assist where necessary in the conduct of the service, concluded the Minister.